Geogebra Android - Can't use english keyboard!! Cómo cambiar la entrada de funciones en la gratificadora de geogebra para android? I am using an android device. My default language is Hebrew. 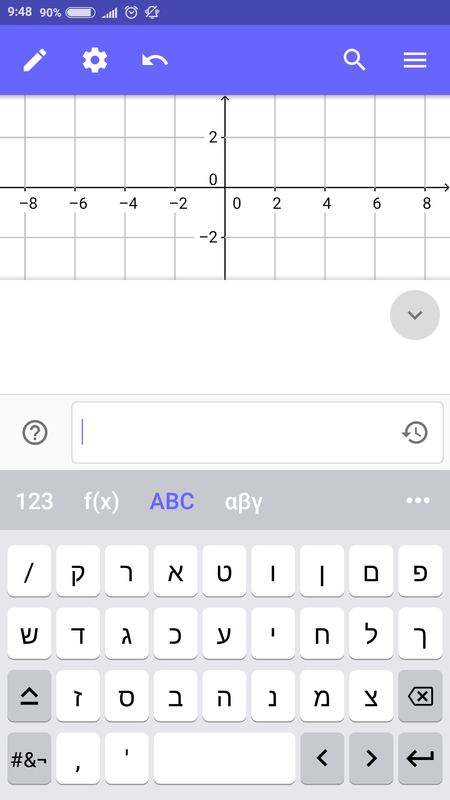 When I open geogebra - android, I can only use hebrew keyboard and have no option to choose the english keyboard. It seems that the geogebra app is using a keyboard based on the the default language in the android device. Please fix the bug so we can use the english language in geogebra.